It's a sure sign of Spring! As soon as the weather gets milder (and days get longer), pigments are mixed, binder is prepared and I get giddy about making colored make-up. Above is my latest pressed eyeshadow palette. For this batch, I've tried out a new base powder and have tweaked my binder formula. Here's how this collection of pressed eye shadows came to be, along with a few of my best powder-pressing tips and tricks. Depending on the base powder mix and color density you prefer, the ratio of base powder to color can be anywhere between 10/90 to 50/50. This year, I tried out a new Serecite mica powder as my base. Using anywhere from 10% - 100% serecite mica is ok (it can also be used alone as a mattifying face powder). The pigments and base powder are sifted together thoroughly until the color is even. What does base powder do? Base powder ensures your color make-up (foundation powder, blush, eyeshadow) is easy to spread/apply and stays where it is applied. Also, it can add a silky, lovely feel to your product. A base powder can be a single ingredient (like serecite mica) or a mix of several powders such as talc, cornstarch, silica, titanium dioxide, zinc oxide, magnesium stearate, kaolin and more – all depending on your desired opacity, function, and effect. My binder this year is a mixture of 60% fractionated coconut oil with 39% jojoba and 1% vitamin E. This is put into a small spray bottle and kept refrigerated when not in use. I mix binder once a year, and discard any binder older than a year. 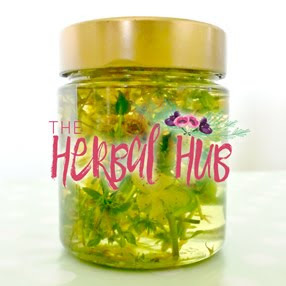 Tip: Make binder in small amounts (less than 30 ml) and put a label on the bottle with the ingredients and production date. You may think you're going to remember everything, but trust me, you really won't. 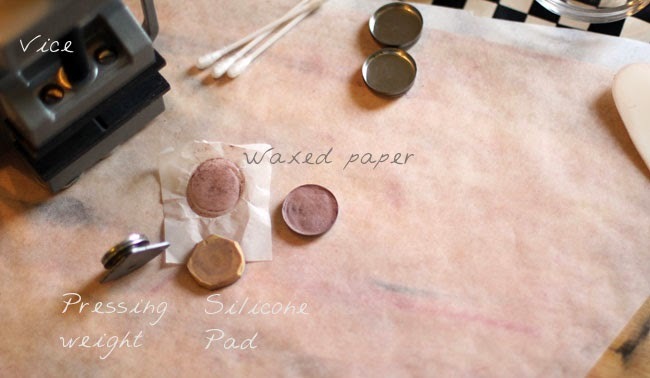 Spray the binder directly onto the waxed paper you will be working on – then add the color mixture. Work color and binder together with the spatula. Go slowly and work as if you are buttering a piece of bread. 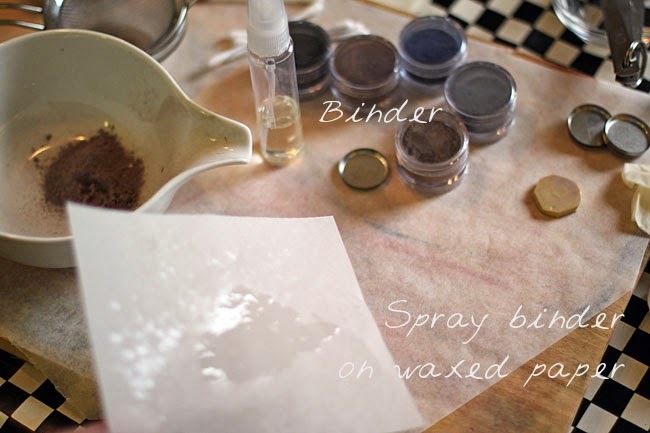 This will incorporate the binder into the powder evenly. Tip: A little binder goes a long way. Take your time when working in the binder and your eyeshadows will not only press evenly, but they'll feel smooth as silk going on. 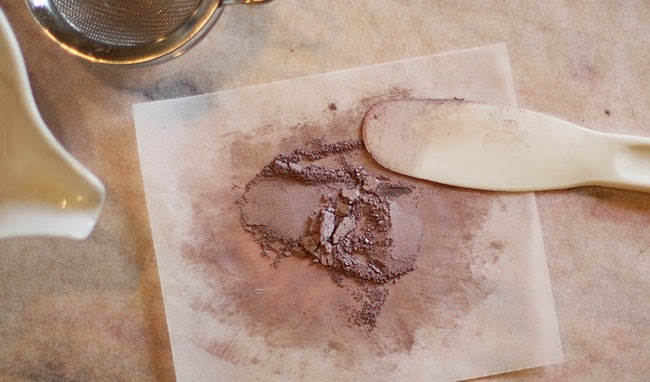 Test the mixture occasionally while working in the binder by pressing down on it with the spatula. When the mixture looks even and starts to stick together when you press down on it, it's ready for pressing. My tried and true best tip for pressing eyeshadow is to build up in layers. 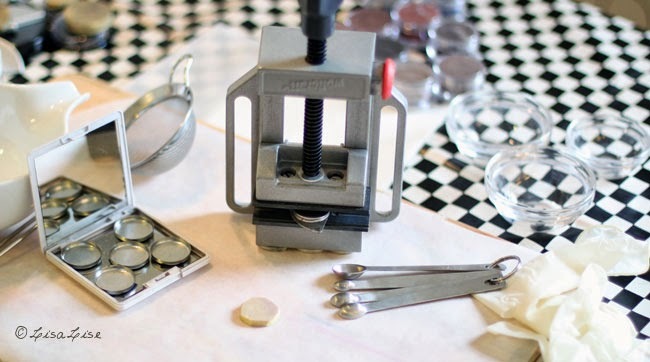 If you are patient and press many thin layers, your eyeshadow will pass the all-important drop test with flying colors and reward you by staying in the pan. Repeat, building up layers until the pan is half full, then press in vice. Repeat until the pan is full, and press in vice again. Above: see how the silicone pad has an indent from being sandwiched between the vice and metal press? That kind of pressure just can't be achieved by hand. That indent was made by my trusty vice (available at regular hardware stores around the world). Do a drop test to check that you are good to go. It doesn't have to be from a great height, but if your eyeshadow can pass a simple drop test without crumbling and coming out of the pan, then it's not only sufficiently pressed, but also has the correct amount of binder. Do you do your own pressed eyeshadows? Which base powders are your favorites? How about binders? Which tools do you use to press? I've just recently received my order of minerals and was looking into pressing them. I've used vegetable glycerin and alcohol as a binder. Well actually just glycerine since the alcohol evaporates eventually. Do you think that pure glycerine is a good binder on its own? 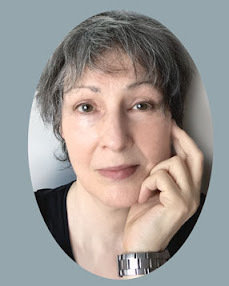 Hi Gospođica Marijica - I have always tried to stay away from any alcohol or water-based binders for my shadows, so I'm afraid I'm not the best person to give you input on this. I would strongly advise adding a preservative if you decide to use glycerin. As soon as you introduce anything water-based into a product, you need to add a preservative. This is one of the reasons I have always worked entirely with oil-based binders. Hi Genevieve - it is a sliding scale - depending on what kind of texture you like and what the use will be. You really have to try out the different combinations to see what works best for you. Best of luck with it! 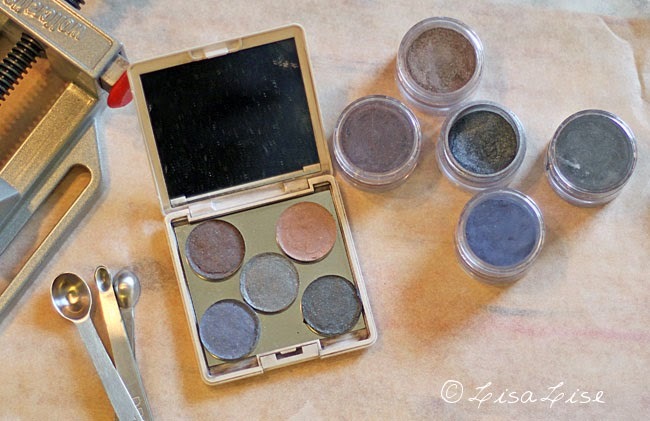 Hello Lise, I recently came across your blog in my hunt for finding a method to press matte eyeshadows. Does this oil based binder work for matte minerals too? Thanks! Hey there Anon - Yes, this oil-based binder works equally well for matte minerals. I am getting ready to start pressing my foundations, blushes, bronzers, and highlights and would like to know what this vice is called? I can't seem to find one and perhaps I am searching with the wrong terms. I am using dry binder and oils to press my minerals, no alcohol or water based ingredients. Thank you! I found this Wolfcraft clamping vice at my local Ace Hardware. I haven't purchased it yet, I am still using a tamper tool I got from TKB trading. I would like to know how you are faring with "wolfy" and if you have given much time or practice to using it? Hi Ashlynn - I love love love my Wolfy and cannot recommend it enough for max pressing power. Important to have pressing pads that fit your pans (someone told me about a 2-component putty that hardens to a stiffish silicone pad that works well. I also have a small hand clamp vice but this one just doesn't measure up to my Wolfy. If I use your binding recipe, does this mean I do not need to add a preservative? If so, how long will the eyshadow last? 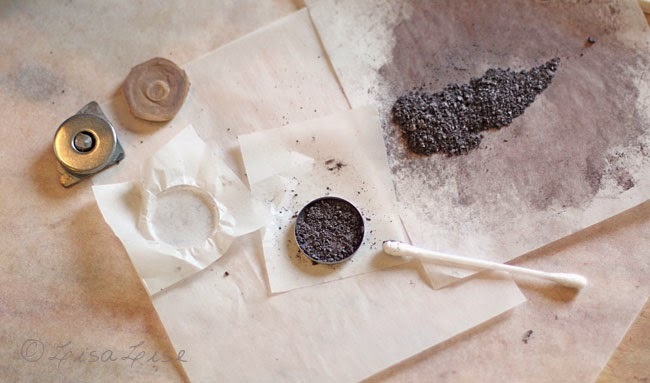 Hi Braedi - I do not use a preservative in my pressed powder cosmetics as they are water-free. I do, however, take quite a few precautions, and don't use the product longer than a year. If you are prone to dipping a moist brush/fingers into the product, you will need to add a preservative. Hope this helps! Hi i was just wondering if it is possible to use purely coconut oil as a binding material? or would this not bind sufficiently? 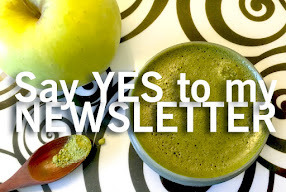 Hi Agnes - it depends a little on what you have in your base powder, and since I switch things up in almost every batch, I am used to eyeballing it. If I were to hazard a guess I would say 5-10% binder. I'm looking for organic / clean micas for face like foundation and colors for eyeshadows. Where would you recommend to purchase these items from? Also will Aroma -zone deliver to the USA? Hello Surata. 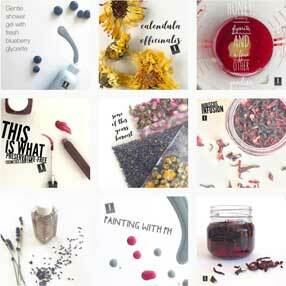 You might check out DIY Cosmetics in the USA - they have split off their pigments into a separate company but there should be links to it from the main site. I believe Aroma Zone delivers worldwide. Best of luck with it! I've been using a mixture of fractionated coconut oil and 91% alcohol to press my shadows. I've finding though, that even with primer they are slipping off my skin. I've tried using the eyeshadow bases from TKB. I've tried using C-smax/boron nitride, but I'm still not getting the adhesion I'd hoped for. Any suggestions? HI Mtennis - I think the high percentage of alcohol might be your problem. Try using a mix of jojoba and fractionated coconut oil. You can start with 50/50 and then tweak the amounts from there to find what works best for you. Best of luck! As to your binder - What if you are planning to sell eyeshadows and cannot control how the consumer treats the product? I'd prefer to use the oils since they will be more nourishing and less chemicals in the product but if they get wet or moisture does get near them (I know some people like to wet their brushes and then use eyeshadows) then what? Would adding a preservative with the oil binder change the way they work on the eye? Thanks! Hi jlb - That’s great input. You definitely want to add a preservative if you are selling. Check the ingredients lists of major brands and you will find preservative in pressed eye shadows. Your only other option would be to put a very short useby date and print a warning to your customers to not introduce moisture to the product if ypu want to stay preservative free. A preservative shouldn’t change how the product behaves or functions. Thank you! What preservatives do you recommend? I use coconut oil to press but I feel like they come out too thick. The shadow will swipe onto my finger, but not onto a brush. Any tips? Hey there mmmlgy0 - I think I would try using fractionated coconut oil instead. This is not nearly as heavy and will not cake up the powder as coconut oil will. You could also try using jojoba - this is another useful oil for pressing powders. Hi Lise! I used your binder formula which is amazing! But anyway, I'm wondering how to make an eyeshadow more pigmented? Because I made a couple of them just using micas and they look good when swatched on my finger but I can't seem to get any pigment when using my brush :( Please answer this thank you so much! Hi Anon - For a more pigmented color you'll want to introduce some oxides to the mix. Micas are great for glitter and shine, but for color intensity, add oxides. Hi Lisa, I’m in the process of creating my own pressed shadows as well and need a few questions answered. When preparing the shadows do I use s dry binder and liquid binder? I’ve been using magnesium as my dry binder and palmitate as my liquid binder And do sericite work as a base? Hey there Anon - thanks for your interest. I use both types of binders and will tweak the different amounts according to my preferred result. Without knowing your entire formula it’s hard to give you any advice, but I do offer one on one consultations. Please check LisaLise.com under shop and then services. Do you have any recommendation as to what I could use as a preservative? HI Signe - Thanks for your kind words! If you are only adding glycerine to dry ingredients you won't need a preservative. May I ask if you have used glycerine before as a binder? How did it turn out for you? Thanks so much for this very informative article. I have a question can i bake this recipe in the oven to make baked eyeshadow? Ingredients are mica , zinc oxide, titanium dioxide, iron oxide and fractionated coxonut oil and vitamin e. Thanks! Hey there Anon - I would try a small batch and see, but I don't see why you shouldn't be able to. hey! im so glad ive found your blog! i need ur help. im in in the process of pressing mica powder with a press-base powder, i use jojoba oil as my binder but i am gutted as they easily fall out of the pan if dropped...which is no good as i want to sell them D:!!! ive tried pressing the powder in layers, as your post recommends, however, i find this causes the layers to actually seperate into seperate sheets, maybe i need to work on my technique...? (just to note im pressing into 57mm pans, not small 26mm ones. do u think u know why my powders do not stay in the pan? Hey there Gold Flo - It does take a bit of practice to get the proportions of the binder and pressing technique down to perfection. My best advice is keep working at at. Do you have a proper press? This helps tremendously. thanks for reply! im using a clamp which u just screw down onto the powder. is jojoba oil enough to use to stop the powder from crumbling or producing so much fall-out? Hello! This may be a silly question but do you use cosmetic grade mica powders for the colour powder? Hi Unknown - Not a silly question at all! I do make mixes of both oxides and micas for these mineral eyeshadows and use only cosmetic grade ingredients all the way through. Hi Lisa. Im new to making eyeshadows. I need to know how do i work with % for my formula in order to ensure its the same every time i make it? I mean what if i make a separate micas mixture and sparate base but when mixed together, I may not need all of it for pressing one pan so how am i going to write a formula for one shade/ per pan? Hi Sal, Your best bet at recreating your formula every time is by weighing every ingredient (and every addition and tweak) and keeping note of it as you work. If you are working in small amounts, a jewelry scale is quite effective for this. The first pan you make will be a trial and error but if you keep note of everything you should be able to recreate it every time. Howdy! I love your blog, you're so amazing! Thank you for sharing your extensive knowledge with us, you truly are a goddess. I have a question about your vice powder press, do you have to continuously turn the handle in order for it to clamp down? Or is the button on the side for that purpose as well as for a quick-release? hi Many thanks for this wonderful post. mica powders are shimmery. i want matte shades . 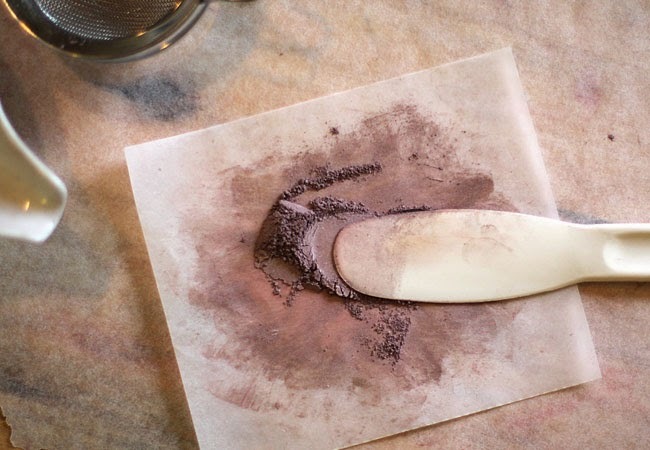 are mica powders come in matte colors? Hi Sadaf - for matt colors you will want oxides. You might be able to ‘dull’ micas a bit by grinding them, but probably not to the point of being matt. I was wondering why you chose those certiain oils to use for your binder?